Our Hops extract is produced in Germany. Hops are the flowers of the climbing hop plant Humulus lupulus. They are used primarily as a flavoring and stability agent in beer, to which they impart bitter, zesty, or citric flavours; though they are also used for various purposes in other beverages and herbal medicine. 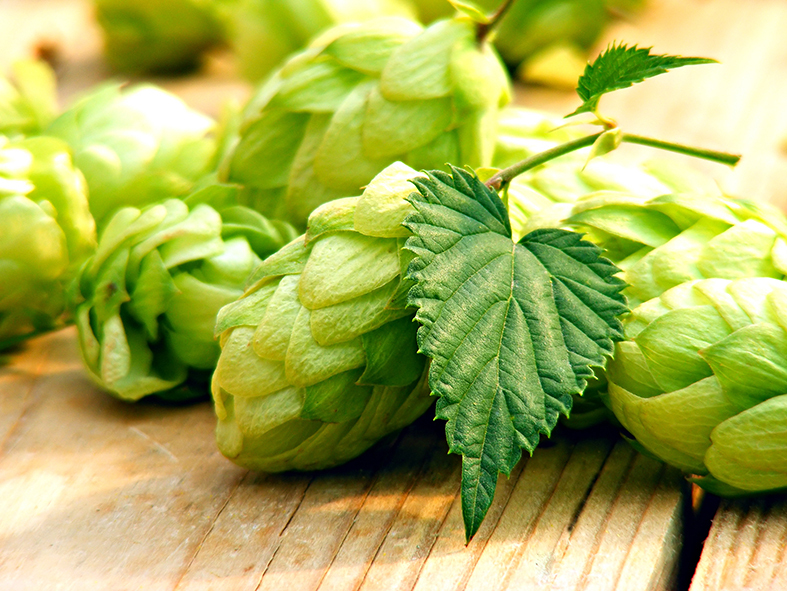 The first documented use of hops in beer is from the 9th century. Hop plants prefer moist, moderate temperatures and the same soils as potatoes. The leading potato-growing states in the United States and Germany are also major hops-producing areas. Harvest comes near the end of summer. Hops are used in herbal medicine in a way similar to valerian, as a treatment for anxiety, restlessness, and insomnia. Hops act as phyto-estrogens, which reduce the number of hot flashes and are of interest for hormone replacement therapy and are under basic research for potential relief of menstruation-related problems. Humulus lupulus (hops) is known for it’s sedative effect and is used to treat insomnia for a long time. Lupulus relax your body and mind and promote a deep and restoring sleep. The FDA has approved lupulus for insomnia. Hops extract can be found in our products Femeno 1 and Pre Sleep.